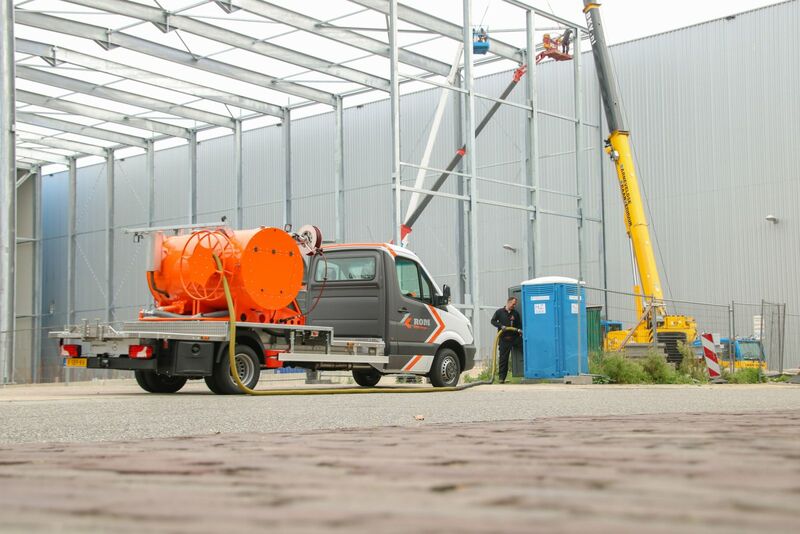 The new ROM FLEXI 1100/750 PTO is designed for fast and easy emptying and cleaning of portable toilets. On display at this year’s Showman’s Show, the machine has a heavy-duty 1,100 litre vacuum tank, a large 750 litre clean water tank, yet is compact and lightweight. It allows you to carry a maximum of clean and waste water, toilet cabins and other things with you. The unit is suitable for vehicles with a maximum allowed total weight of ≥ 3.5 tons (driver's licence category B) and is generously equipped with an oil separator, moisture separator and several safety features. But that's not all! The unit also has extra space built in on either side for maximum protection of the machine components and to provide additional storage. Both cavities have protective covers so you can add your corporate message. The FLEXI 1100/750 PTO is designed from the drawing table up to be driven by means of the vehicle engine (PTO) instead of a separate motor in the machine. Vehicle engines are quieter, meaning less engine noise when cleaning the toilet cabins. You will also benefit from space and weight savings, environmental advantages, and more! The machine is designed to last for decades. The installation is entirely hot-dip galvanised both inside and out, which protects the tank against corrosion. The dark colour of the clean water tanks prevents algae from forming through UV light. Full operation is at ergonomic working height, with everything within easy reach. So, you can work comfortably, and empty and clean more cabins per day. Because cleaning more cabins means more profit!